Calcite, a common mineral found in rocks, is largely used in the construction industry. 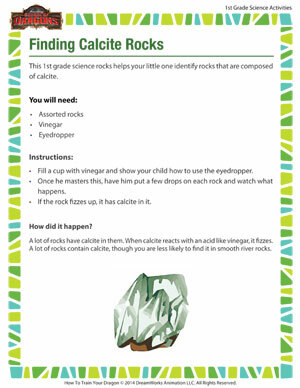 But you don’t have to be a building engineer to know this– pick up any rock and chances are it contains calcite. Want to find out? Get some vinegar and an eyedropper and get started with this fun science activity for 1st grade. And don’t forget to check out other interesting first grade scientific activities, brought to you by the School of Dragons.